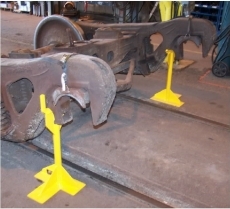 These fixtures are designed to support freight car truck side frames during wheelset replacement. 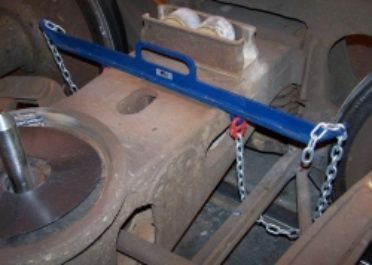 They are intended for use at facilities where an overhead or jib crane is not available, allowing wheelsets to be replaced with the use of only a forklift. Strong steel construction securely supports the side frames. 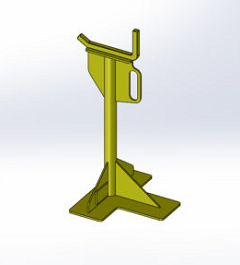 Side Frame Retainer Key is designed to attach to the side frame pedestal to retain wheelsets in the truck assembly. 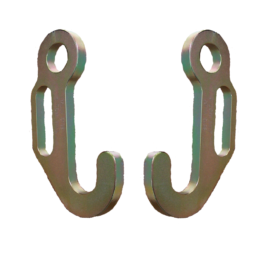 Use the Retainer Key to keep wheelsets in place during truck repair operations or at derailments. 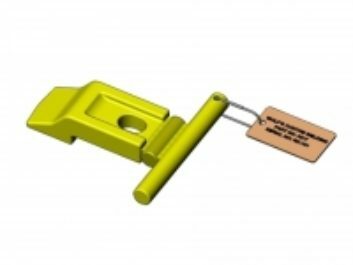 Includes an identification tag attached with a stainless steel cable that describes the company name, part number, and serial number.